Stillhouse Spirits Co., renowned for its unbreakable stainless steel can and award-winning whiskey, announces their first release of Stillhouse Black Bourbon - the first ever bourbon rested and mellowed in roasted small batch coffee beans. Unbreakable. Unmistakable. Undeniably different. That same spirit lives within Stillhouse Black Bourbon - a masterful blend of corn, rye, barley & limestone water, distilled to perfection, barreled in charred new American Oak barrels before being charcoal filtered, then rested & mellowed in roasted small batch coffee beans. The combination of the bold coffee beans and richness of the charred barrels results in soft aromatic notes of caramel and coffee, with a distinctly balanced body and a remarkably smooth finish. Please Drink Responsibly. This product is only available for delivery in the following states: AZ, CA, CO, CT, DC, FL, IL, LA, MD, MA, MI, MO, NV, NH, NJ, NY, ND, SC, TX, WI. Put ingredients in a mixing glass with ice. 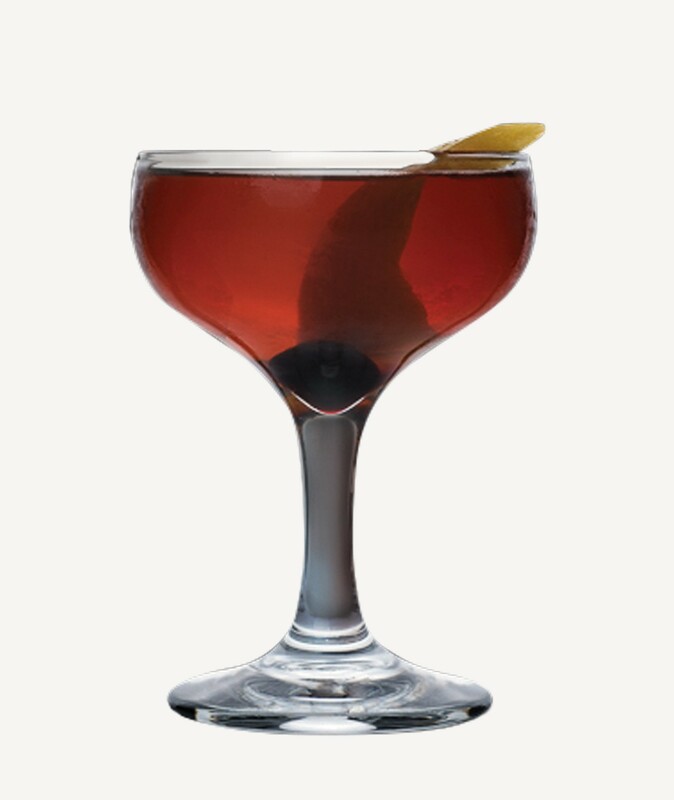 Garnish with a lemon peel & brandied cherry.